Click on the “Sign up” at the bottom right-hand corner as shown below. 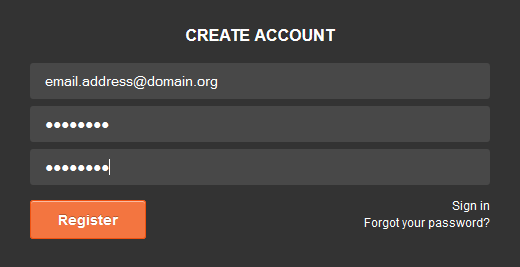 Once the CREATE ACCOUNT box is shown, enter a valid email address and a password with at least 8 characters. 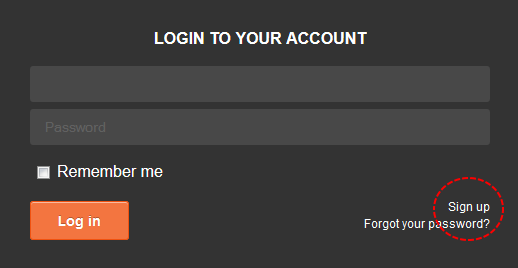 Reconfirm the password by entering it again. Afterwards, click the “Register” button and you will be registered and logged in automatically. 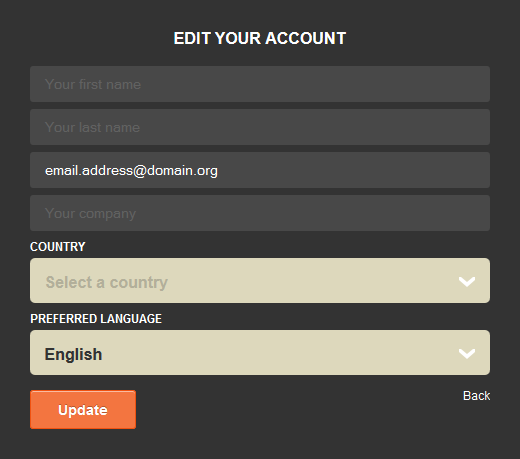 Once you have registered, you will see new buttons at the upper right-hand corner of the screen, which will give you access to your dashboard and allow you to sign out of your account. 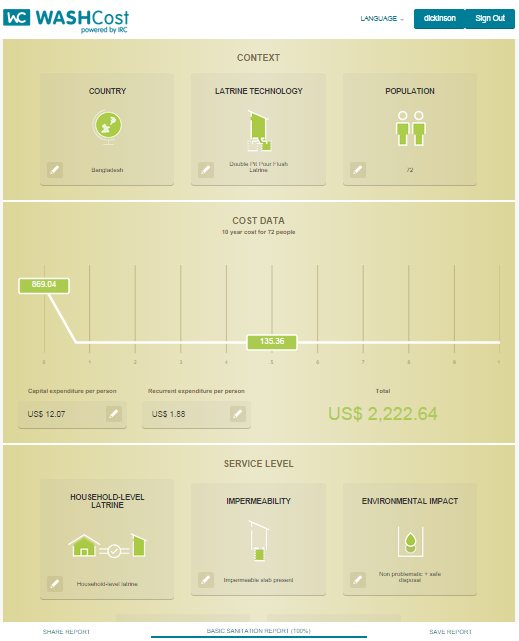 After registration, try and edit reports on life-cycle costs of public water services and household sanitation services in rural areas and small towns. See below this article for a report on 15 ultra-poor households using pour flush latrines in Bagherpara, Bangladesh. The basic report is the best place to start for non-experts. When a shared report link is opened, it provides the user with a copy of the report. The report link will set a default language but the user can change the language at any time using the menu in the upper right-hand corner of the page. Any user can share a report. Use the “SHARE REPORT” button at the bottom of the page to generate a link that can be copied and then pasted into social media, email and documents. Click on your email address or username in the upper right-hand corner of the screen to access the dashboard. When viewing a basic or advanced report, click the “SAVE REPORT” button in the bar at bottom of the screen. Fill in the name of the report and it will be added to your dashboard. You may indicate whether the saved report is based on historical expenditure or on a budget. The generation of a new report is usually done by one or more experts with the information they would like to share with other stakeholders. 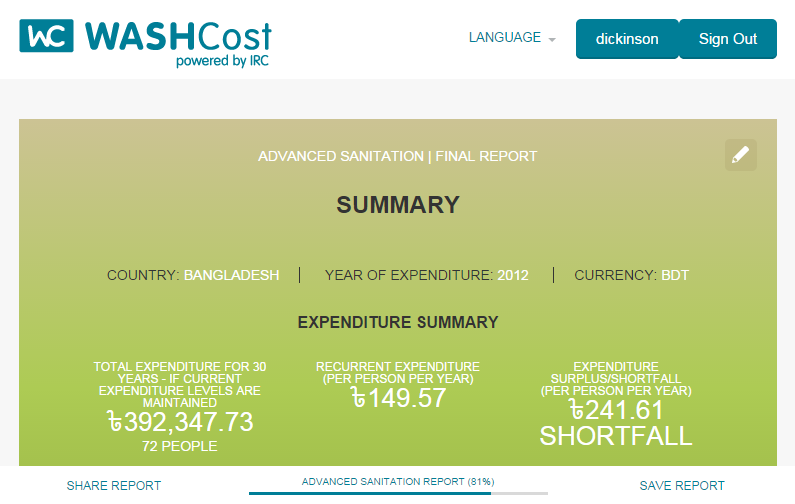 If you are ready to create a report, please use the link to the article “WASHCost Share: put cost data in advanced reports”. Make sure you save the report to your dashboard after creation. Good luck!